I remember a year or so ago, my daughter was 5-years-old, and they were having Spirit Week at her school. Well one of the days was Career Day where you had to dress up as what you want to be when you grow up. While we were discussing what she wanted to dress up as, she told the many things she wanted to be. She said she wanted to work at McDonald’s, be a nail technician, and be a Doctor. I asked her how she was going to do all of this. That’s when she said, “I’ll work at McDonald’s when I’m a teenager and do nails while I’m learning to be a Doctor.” I was truly amazed at how she had this all figured out. Well, she’s been enrolled in Dance since she was 2 and I just knew that being a Dancer was going to be one of the things she mentioned, so I asked her, what about dancing? She looked at me as if I had asked her one of the most ridiculous questions ever and said, “Mommy, I’m already a dancer! !” So I asked her, “How are you a dancer already?” Her response was, “I just know in my mind and my heart that I am and if I keep practicing then I will get better and better!! !” My mind was blown!!! It amazed me to see so much belief in such a young child. I reflected on this moment because things are so simple for kids. It’s either black or white, no grey areas. Either they like it or they don’t and its pure. Typically if its something that they are curious about or want to do, they just do it. What would happen if you look at your goals through the same eyes as you did when you were a child? Removing all of the doubt and just believed that you are what you are trying to accomplish in your mind and heart but if you keep practicing then you will get better and better. If you wake up everyday and tell yourself, “I am a teacher”, “I am a Fashion Designer”, “I am an entrepreneur”, “I am a singer”, “I am etc”, then you are!! And everyday when you speak those things into existence, it just brings you closer and closer to being the best at it that you can be. Stop complicating things. Everything isn’t always easy but that doesn’t mean it can’t be simple. What you put out it what you receive. This journey to self-proficiency can go whichever way you chose based on the energy you put into it. It starts from you soul and mind and it grows from there. Do you believe? 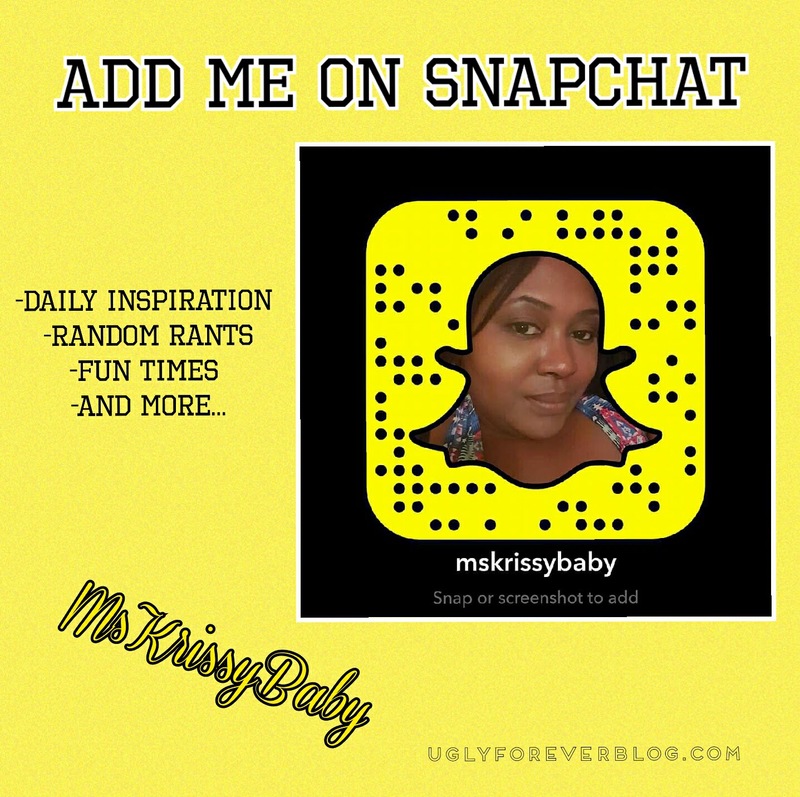 Posted in Motivational Mondays.Tagged Aspirations, Do You Believe, Inspiration, Krissy G, Manifestation, Motivational, Motivational Monday, UGLYForever.